CRYPTO Markets Seeing Some Upside -- Resistances MetsteemCreated with Sketch. Crypto markets are up slightly today. We're seeing some slight pullback now though as bulls take a break and confirm supports. Since we're rallying slightly above the channel, we should still continue to see some extended upside movement. STEEM is on fire today -- BCH is a close second. 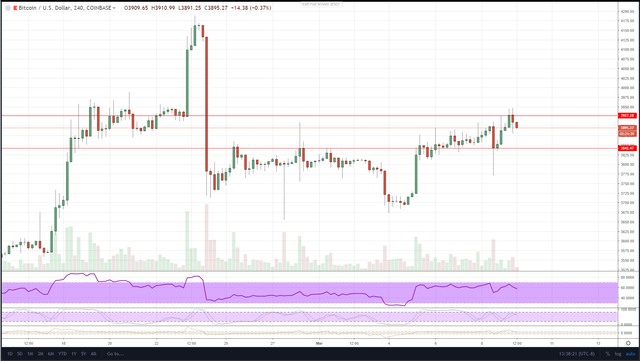 Hopefully we will see some more continuation and upside from here, but first, there will probably be a little bit more consolidation. This would be a good sign too, and very healthy. From there, upside should continue.